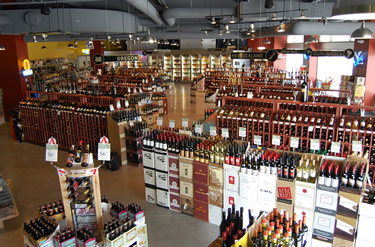 At Mile High Wine and Spirits we believe you should expect more from your liquor store. You should expect a clean, inviting, uncluttered space where you can browse products hassle free. We believe you should have access to a highly educated and friendly staff who are passionate about their work. We believe that you should see new and exciting products every time you walk in the door. We believe that you should expect more AND pay less. That's why we provide a large selection of fine spirits, hand crafted beers and world-class wines at some of the best prices in town. On this website you can find our latest liquor specials, our Wine of the Week review, even interviews with Craft Brewers. But the easiest way to get the best that Mile High has to offer is to sign up for our Weekly Email Newsletter. You can sign up in the green box to the right or visit our Newsletter Signup page to learn more.